HD Monthly, is when Los Angeles community members come together, for this Direct Service program outside the month of Ramadan. Where we directly serve Skid Row residents on Towne Avenue, between 4th and 5th Streets Downtown Los Angeles. Each last Sunday of the month, we prepare to serve 100-200 people between 10am – 1pm. Over the years different groups have sponsored a Sunday; by providing fresh meals, fruits, water, hygiene kits and volunteers for direct service. Each Sunday is a different level of service, mainly providing quality care and service each time. 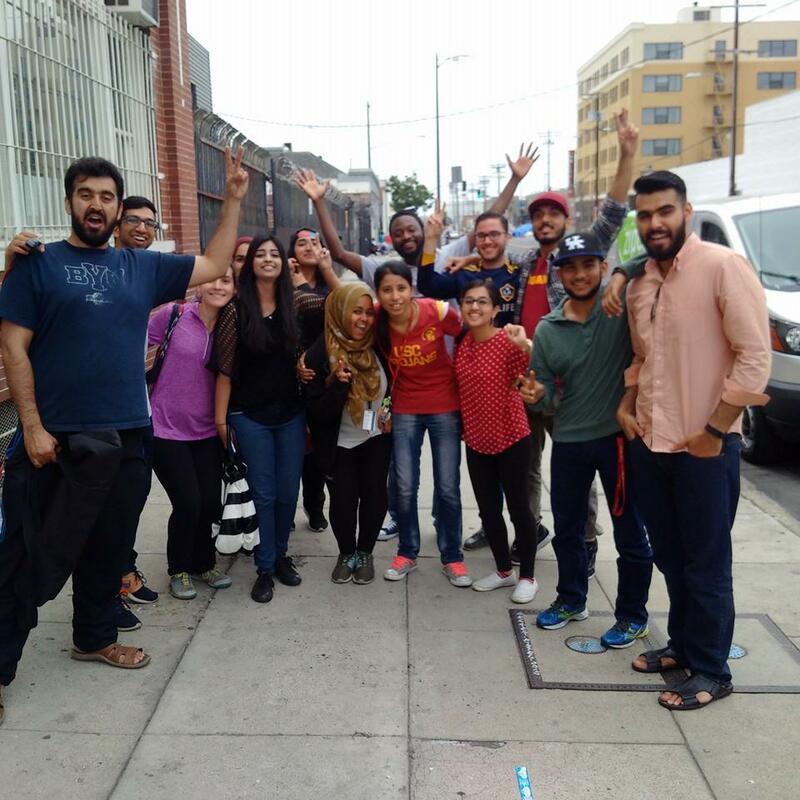 Groups such as USC’s Ansar Service Partnership and Temple Israel of Hollywood, both have sponsored a Sunday. Together we exercise the essence of social responsibility where it’s needed most. Homelessness rose 12% in Los Angeles County over the two years; which L.A. has the biggest homeless population in the United States.